Gaurav is a vocalist and has been training under Aching Shaiza at the Delhi School of Music for the last two years in western classical vocals, a Trinity grade 7 student. He has also been performing with the well-known Capital City Minstrels for the past two years and has received acclamation for his classical solo performances within the choir. Having performed at venues like Rashtrapati Bhavan, Teen Murti Bhawan, Epicentre, India International Centre, India Habitat Centre, Baha'i Auditorium, he has been involved with many musicians who have helped him expand his repertoire. He has also been playing the Guitar for 5 years and is currently learning the Piano. 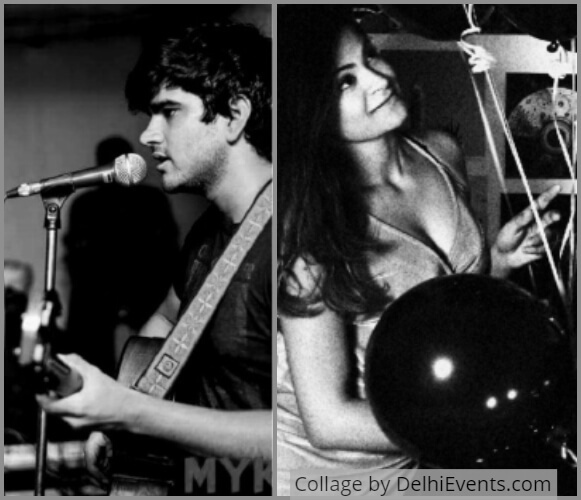 Ilina Gandhi, 21, is a Delhi based vocalist and dancer whose heart lies in Jazz, Bossa Nova, and Blues. Brought up in a household filled with art enthusiasts encouraging her to pursue performing arts at a young age, she has done over 200 shows with Kingdom Of Dreams as a part of their musical Jhumroo. She’s studying jazz voice under Aching Shaiza and is pursuing a degree in Hindustani Vocals. She has been performing with The Capital City Minstrels in the Alto section for the past two years and has worked at The Piano Man Jazz Club as an Events and Artist Manager. The setlist for this night includes a variety of delightful Jazz standards intermixed with some of her favourite Bossa and Broadway musical numbers.